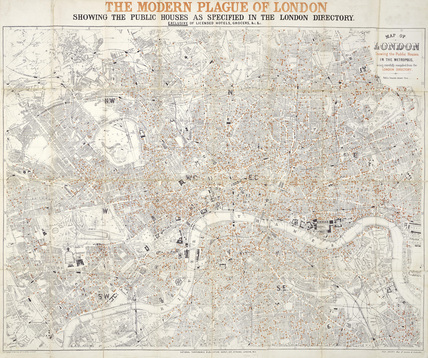 The Modern Plague of London. A map published by the National Temperance Publication Depot showing the public houses as specified in the London Directory in the areas of Stoke Newington, North Brixton, Holland Park, and Bow. It is derived from Bacon's Map of London and suburbs.